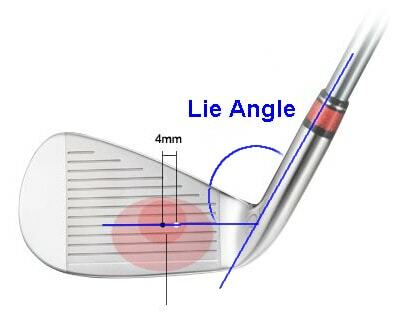 The Correct Lie Angle is defined when the club is fitted. Golf clubs are usually fitted using a static process, which means they measure the distance from the floor to your wrist and determine what the length of the club should be, and subsequently the lie angle of the club is defined. I prefer to determine the Impact Point on the club face and set the length of the club and The Correct Lie Angle from there. There are many aspects which create a good golf swing, but in relation to the lie angle, the main thing which affects your ball flight is the position of the club face at impact. If the lie angle is set too high it will tend to close your club face and you will pull the shot left. If is set too low you will tend to push the ball right. 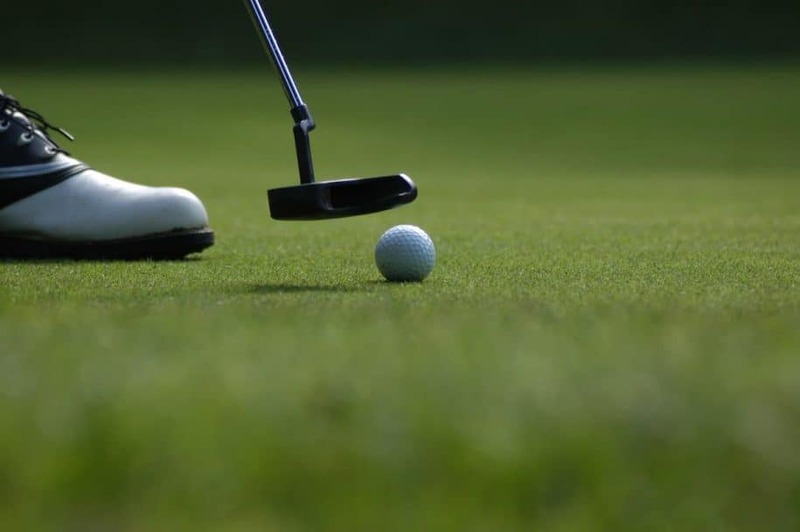 Part of the reason is that as the toe or heel of the club hits the ground first and changes the position of the club through impact, so the Correct Lie Angle is important. The correct lie angle is determined mainly from three things. Your height, your stance, and your swing plane. Your height does not change, and lessons will change the other two, but at some point they will become fairly consistent. So before you do anything to your lie angle, make sure you are happy with your stance and your swing plane, as otherwise you are just compounding the problem. It is difficult to bend clubs correctly. Even with the best machines they can break, and since you cannot bend just one club, but you have to bend the whole set, it is difficult to maintain consistency in the lie/loft relationship from the pitching wedge to the three iron. It is my opinion purely from a geometry point of view, that once you bend a club you change more than just the lie/loft relationship, which affects the performance of the club as a whole, and it is almost impossible to do it exactly for every club. Also the bottom of the club is not perfectly straight, but slightly curved. So you need a very experienced fitter to bend a golf club correctly and do it consistently for the whole set. Yes there are many who will bend your clubs but the outcome may not be what you expected. Discover more about the most compact electric golf trolley. I prefer to leave the club head as it came from the factory, and set the lie angle by changing the length of the club. This achieves the same result, but retains the integrity of the lie/loft relationship as it was originally designed. A slightly longer or shorter club will adapt better to your stance, and give you a more natural more consistent swing. Swingweight is also a factor to consider as bending clubs will change the swingweight, and lengthening the clubs will change it as well. It is however much easier to maintain consistent swingweight throughout your set by adding ½ an inch to your clubs than by bending each one individually. t. Again in my opinion swingweight is not as important as MOI, and even then you have to have everything else right before you worry about swingweigh, so this probably would only be relevant if you played golf professionally. At Better Golf Clubs we design golf clubs which will deliver the club face square at impact and achieve optimum club head speed. We work with you to determine the frequency, torque, and kick point that will suit your game, and build a set of clubs to optimize these parameters. For more information you can always contact www.sudburygolfclubltd.co.uk.